Romancing a blogger means being all nice to them so that they look upon you favorably. In an ideal world, they will look upon you favorably because you give them something they want, though many times they may look kindly upon you because you compliment/boost their already inflated ego. You need to romance bloggers if there is something they have that you want. You may want them to review your product or service, or may want links from them, or may want them to send traffic to you or improve your online reputation. Your reasons are your own, but there are thing they can offer and if you do not want to pay them then you have to romance them. Links from blogs may help your SEO (Search Engine Optimization). Followed backlinks will improve your search engine results standing and may produce a little direct traffic too. The trouble is that people do not often give away free links, which is why you may have to be nice to the blogger. You may also have to be nice if you want the blogger to allow you to post a guest post. A guest post means you create a blog post for free and they post it on their blog in return for a backlink to your website/blog. That is why you have to be nice to bloggers and build a relationship with them. This literally means they may sway the opinions of their followers. You may want them to do this for you so that people visit your website or your blog, or so that your online reputation improves a little. You may even want the blogger to post or comment on one of your videos or images with the hopes it will go viral. These reasons are why you need to build a relationship with a blogger. Acting like a friend online is one way of getting a blogger to do as you wish, but that sort of “relationship” is rare because you cannot offer the blogger anything real. You cannot visit their house, go date hunting in the park, or babysit their hamster. All you can offer is online friendship, and sometimes this type of relationship is not enough to convince a blogger to post links for you or influence people in your favor. Instead of building a relationship with a blogger, you could just pay them for links, influence, etc. Even then, if you do this quite often it could be the basis of your relationship. The main benefit of this is that the blogger will prioritize you and your needs above all others (unless others are paying more), but on the downside the blogger will forget and ignore you the moment you stop paying. This is a fundamental part of your relationship with the blogger. As discussed above, you are not able to offer things in the real-world except for money. But, there are things that the blogger may want. In fact, a lot of their wants may be similar to yours. They may want cheap hosting, cheap advertising, more followers, etc. Can you create a relationship based on those mutual goals? You can build a relationship by acting in a way that few other people do. If the blog is popular, then the blogger is going to get a lot of requests for guest posts. You can make yourself stand out from the crowd by explaining how once the blog post is online how you will then promote it. Mention how you will promote it on your own blog, website and social media profiles. Doing something as simple as this may help start a relationship with the blogger, and this is especially true if your guest post reviews more traffic than the blogger is used to seeing on guest posts. You can stroke the ego of the blogger if you wish, and one way to do this is to add comments to their blog posts. If you do this quite often, then the blogger may start to recognize you and may be more amenable to hearing your requests. There is also a feeling that comments may be helpful to your SEO (Search Engine Optimization), though one cannot be sure how true that is these days. If you want something from them, then give them something in return. A quid pro quo is often a good way of building a relationship with the blogger. Though, there is a question of PageRank and Alexa Rank--the blogger may not feel it is a fair trade if their links are from a more highly ranked domain. This is another bargaining chip that you have. You can offer to promote their blog on your social media profiles. Such publicity does not have a massive conversion rate, but it cannot hurt the blogs publicity or its SEO. If you are able to share information with the blogger in some capacity, then this may also be another bargaining chip you have in your corner. A bit of insider information may help you bond with your blogger. They are looking for clean backlinks too, so if you want them to like you then you can offer the domain names of websites where they may build clean links to their website or blog. 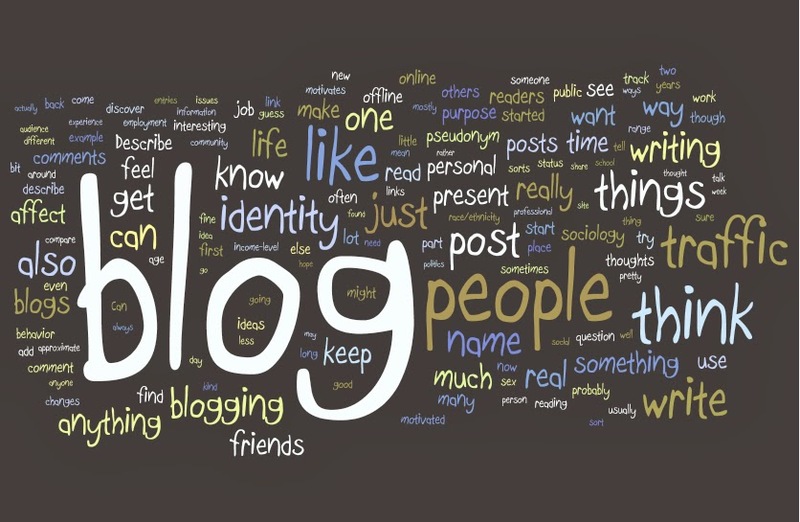 A blogger will often put a comment or two in his or her own blog comment section. If you want to make an impression on the blogger, then reply to their comments on their blog comment section. If you comment often enough then you may become a regular commenter that the blogger remembers. If there is a way of turning this into a preferred commenter then you should take that opportunity so that the blogger notices you and a relationship may begin. Kiara Halligan is a professional blogger and writer with responsibility for emergency essays. She likes to contribute her knowledge on different subjects to everybody who needs it.